How to style the 'patches' trend. 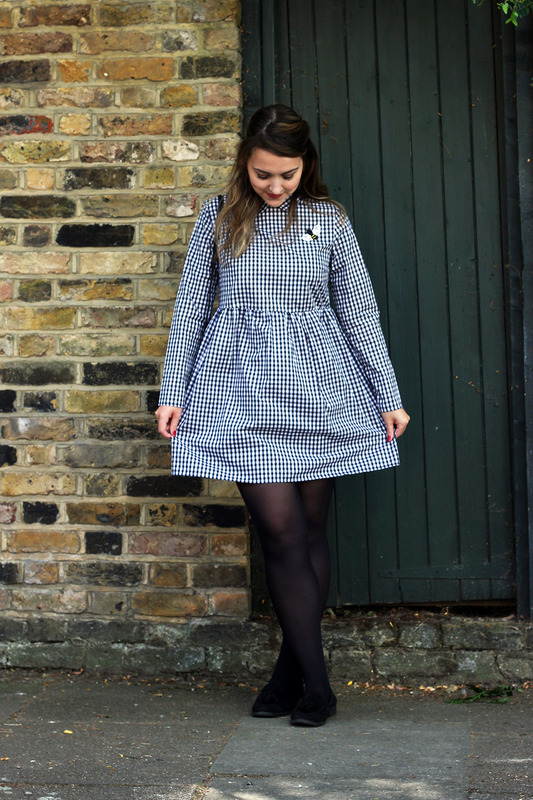 It's been a bit of a while since I've done an outfit post, so I'm back with a couple of new pieces, both of which I absolutely love. I've been trying not to spend too much money on clothes recently but I decided to treat myself this payday and buy a few new bits. 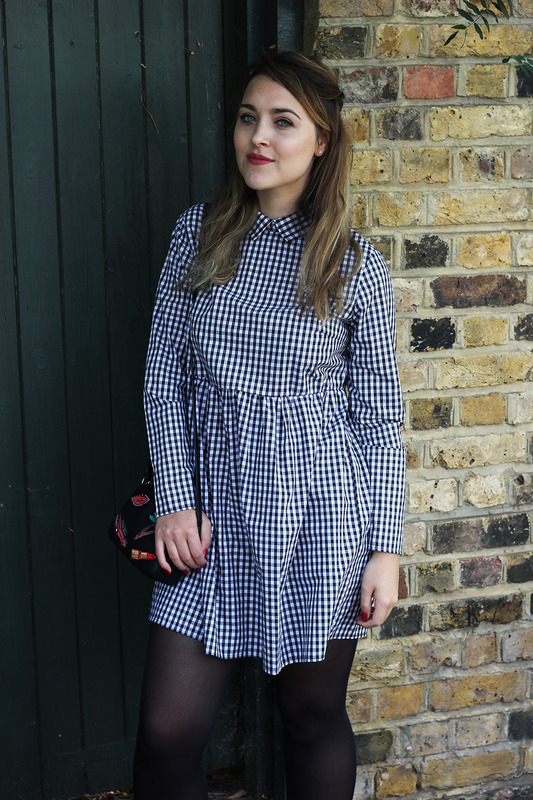 First up is this black and white gingham dress from Reclaimed Vintage via ASOS, it's a nice lightweight cotton material but I could easily wear a pair of woolly tights and some cute little boots with this in the winter, I have my eye on a pair of Sophia Webster butterfly boots so I'd better get saving! 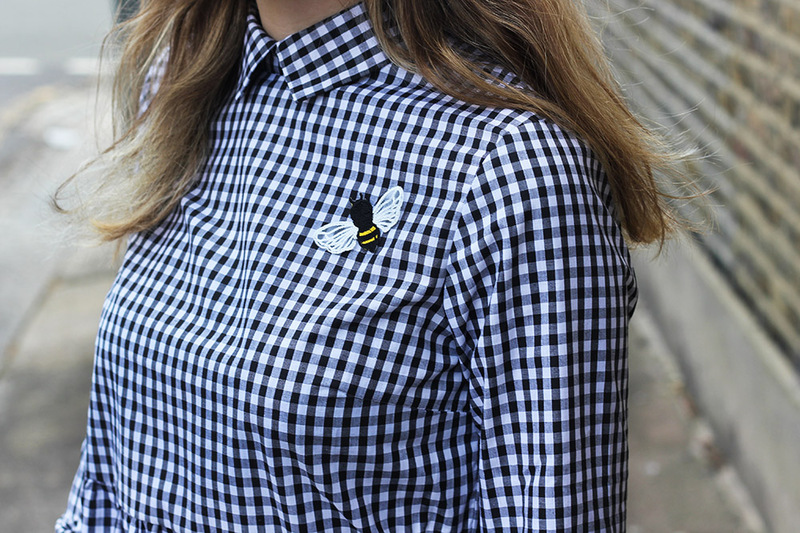 I love the bee detail on this too, it just makes the whole dress just a little bit more special. I matched the dress with this black little bag I picked up from Zara a couple of weeks ago. I was in the Sloane Square shop and I spotted this on the shelf and made a beeline for it. Often when clothes or accessories have the patches already sewn on there's usually always one I don't like but I genuinely love every single patch on this bag. My favourites are the car, lipstick and the palm trees, plus they have glittery thread sewn in too which is even better. I'm so glad I picked it up and it was only £16! I would have easily paid more for it.